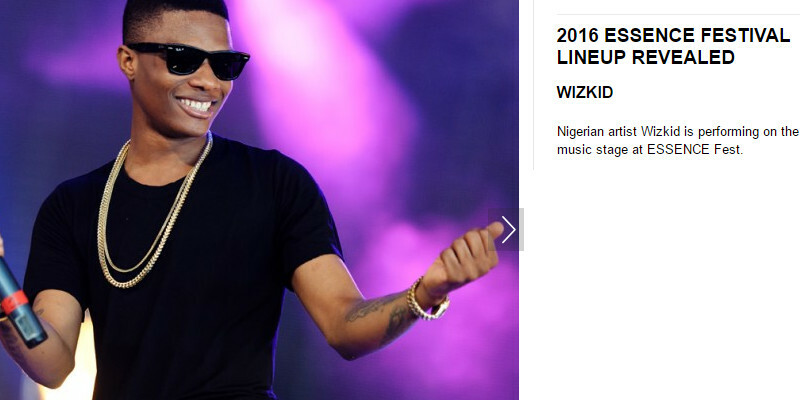 iTunes USA and #1 in several countries, Essensce announces Wizkid as part of the annual Essence festival Line Up which will hold in New Orleans Louisiana between June 30 and July 3. He will be performing alongside Mariah Carey, Maxwell, Kendrick Lamar and much more. This is BIG news and a strong platform for Wizkid to attempt to get some R&B/Hip-Hop fans to fall in love with his music and crossover.